• Designed for use in the office, at home, in shopping malls etc. 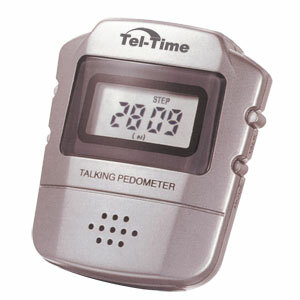 • Female voice announcement of number of step, distance, calories burned and time you've walked, jogged or run. • Four modes to display the data - steps, distance, calories and total time. • Clip attaches to belt or waistband. • Operates on 2 AG13 cells (included).